These options have different prices, shipping times, shipping costs, customs and other fees, availability at local book stores, etc. Also available as pay-what-you-want eBooks at Gumroad and free here as PDF, EPUB, AZW3, and MOBI. This book will teach you to use KiCad. 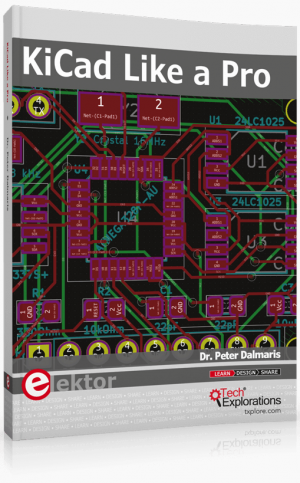 Whether you are a hobbyist or an electronics engineer, this book will help you become productive quickly, and start designing your own boards. 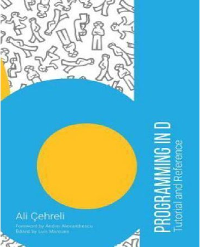 This book takes a practical approach to learning. It consists of four projects of incremental difficulty and recipes. The projects will teach you basic and advanced features of KiCad (version 5.0). If you have absolutely no prior knowledge of PCB design, you will find that the introductory project will teach you the very basics. You can then continue with the rest of the projects. You will design a board for a breadboard power supply, a tiny Raspberry Pi HAT, and an Arduino clone with extended memory and clock integrated circuits. Cryptocurrency is incredibly popular, from Bitcoin to Litecoin, Ethereum, and Monero. These digital assets are digital, decentralized currencies. There are two main methods for obtaining cryptocurrency: mining and purchasing. Learn all about cryptocurrency mining on the Raspberry Pi!